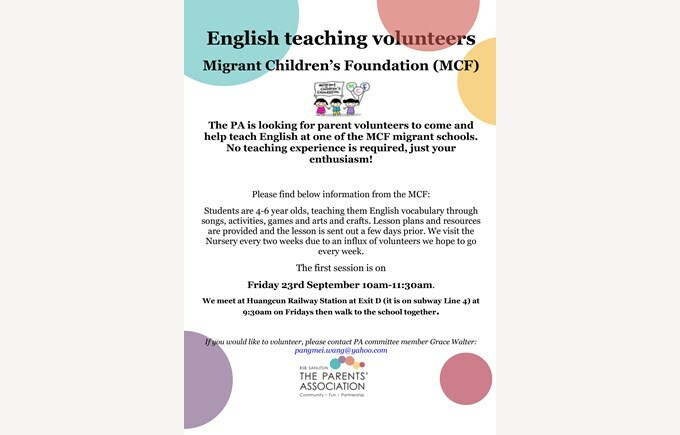 The PA is looking for parent volunteers to come and help teach English at one of the MCF migrant schools. 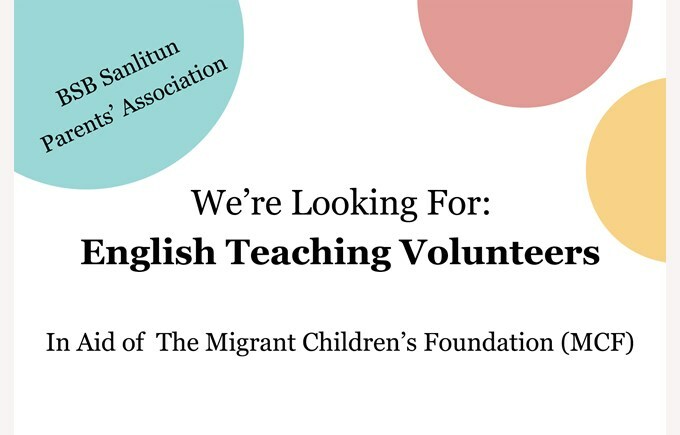 No teaching experience is required, just your enthusiasm! Students are 4-6 year olds, teaching them English vocabulary through songs, activities, games and arts and crafts. Lesson plans and resources are provided and the lesson is sent out a few days prior. We visit the Nursery every two weeks due to an influx of volunteers we hope to go every week. The first session is on Friday 23rd September, 10am-11:30am.